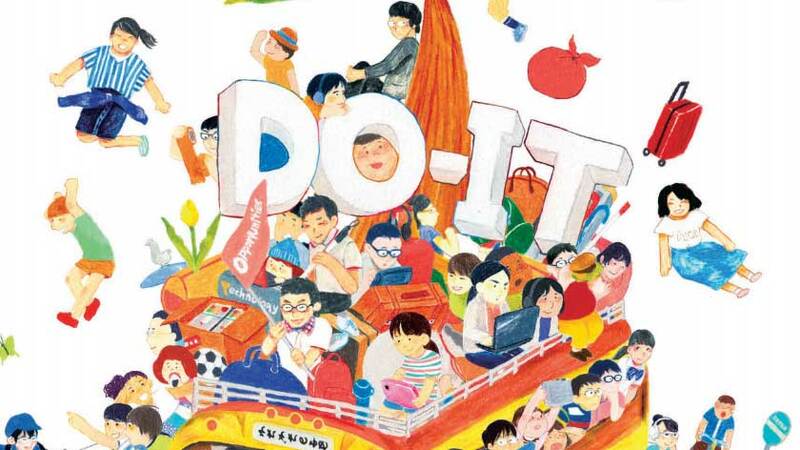 DO-IT （Diversity, Opportunities, Internetworking and Technology）Japan is a program for youth with disabilities. It focuses on helping middle school, high school, and university students learn about self advocacy, understanding themselves and their disabilities, and independence. It has a strong emphasis on technology (with sessions run by Microsoft and Softbank Robotics) and helps connects the participants with other disabled people in the community. Invited by my friend and fellow participant, Yusuke Hatsuse, I took part in the “‘Do I have value in the workplace?’ Working with a disability” workshop. The other participants both have visual impairments and are quite accomplished. Yusuke Hatsuse participated in judo events at the Beijing Olympics and now runs his own company helping people with disabilities find employment, and helping workplaces be more accessible. Makoto Ogoda is a lawyer who is completely blind and had a TV drama made about his life. It was a little intimidating to be sitting next to them to say the least! I shared about my experience working – from middle school to the present – and highlighted some of the differences between Canada and Japan. One challenge I struggled with the most is the difference in how personal care is provided at the workplace. In Canada, it is possible to use your regular personal attendant hours and have them help you with care at work. In Japan, however, personal care hours are not allowed to be used during work hours and you must have your fellow workers help you. I feel this is very detrimental to people with disabilities finding work at regular offices, as both parties have very high hurdles to overcome when helping a fellow staff member in the washroom! I hope that this law changes one day and that the youth who attended our seminar will be the ones who change it as they join the workforce.